A while back, Clementine music player got Grooveshark and Spotify support and these, among many other new features are finally available in a stable release (1.0). You'll need a Spotify Premium / Grooveshark Anywhere account though. 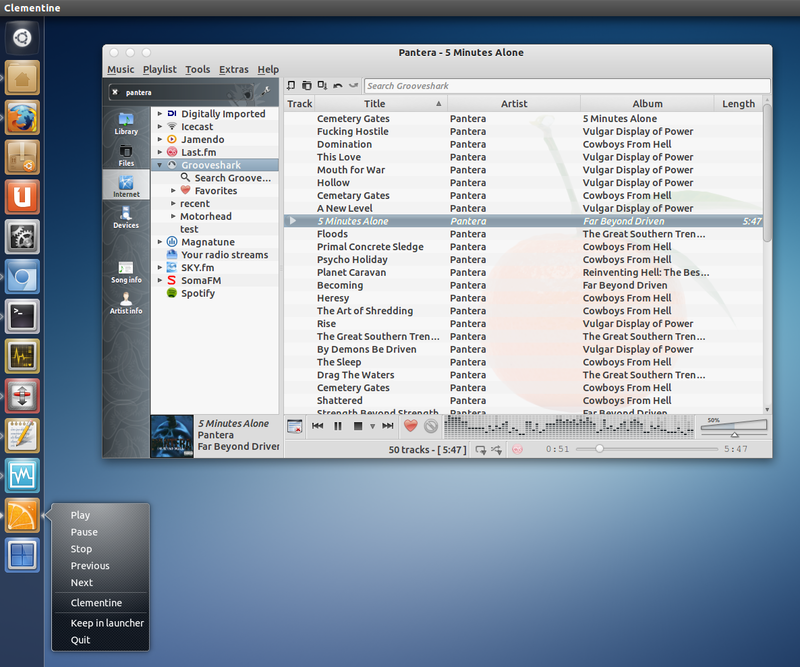 Besides Spotify and GrooveShark support, the latest Clementine 1.0 also comes with a new global search feature which you can use to search for music and radio (includes your music library, radio streams, Spotify and Grooveshark), Digitally Imported (di.fm) and Sky.fm radio stations, audio CD support and Amazon as an alternate provider for album cover art. cache lists of streams/friends fetched from Last.fm, di.fm, soma.fm, etc. Oh, and you can finally remove the playlist background image (under Tools > Preferences > Behavior). You can also manually download .deb files via the Clementine download page, but you won't get automatic updates if you don't use the PPA. Here, you'll also find .rpm, .dmg, .exe and source files.